The acx file extension is related to the IBM Rational XDE a program development environment. The *.acx file stores some kind of data sued by Rational XDE. What is acx file? How to open acx files? The acx file extension is associated with IBM Rational XDE that provides a single design-to-code experience inside the included Eclipse IDE, IBM WebSphere Studio Application Developer and Integration Edition IDEs Microsoft Visual Studio. The *.acx file stores some kind of data for IBM Rational XDE. 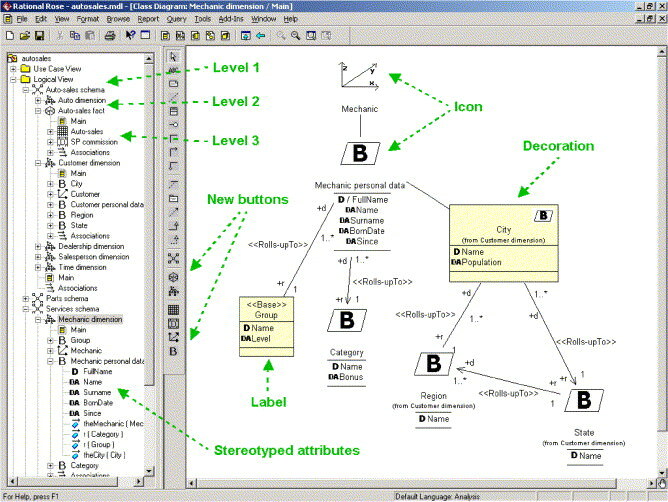 Rational Rose Developer for UNIX is based on Unified Modeling Language and provides design-level code generation and reverse engineering for Java, C++, Ada, ANSI C++ and CORBA programming languages. and possible program actions that can be done with the file: like open acx file, edit acx file, convert acx file, view acx file, play acx file etc. (if exist software for corresponding action in File-Extensions.org's database). Click on the software link(s) for more information. Suggested software applications use acx file type for internal purposes and/or also by different way than common edit or open acx file actions.